Olga Smirnova (Rus. Ольга Смирнова) and Alexander Volchkov (Rus. Александр Волчков) in Diamonds from Jewels. Music by Pyotr Tchaikovsky, choreography by George Balanchine. Eurasian Dance Festival 2017, Shot on 29.6.2017 in Astana Opera House. 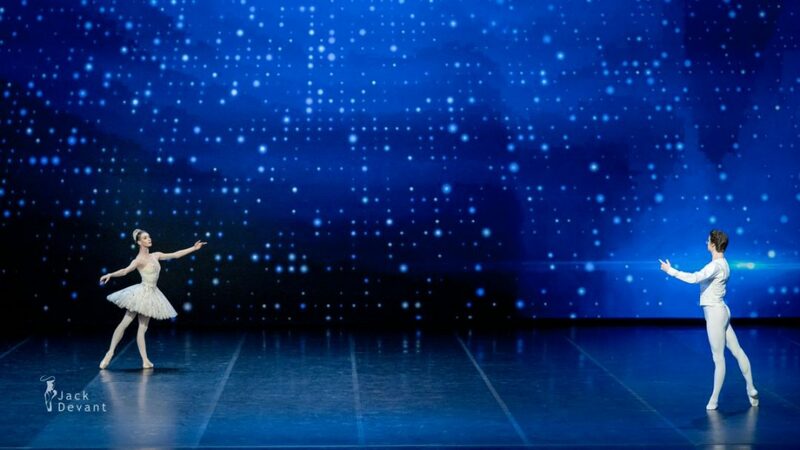 Jewels is a three-act ballet created for the New York City Ballet by co-founder and founding choreographer George Balanchine. It premièred on Thursday, 13 April 1967 at the New York State Theater, with sets designed by Peter Harvey and lighting by Ronald Bates. Jewels has been called the first full-length abstract ballet. It has three related movements: Emeralds, Rubies, and Diamonds (usually separated by intermissions). 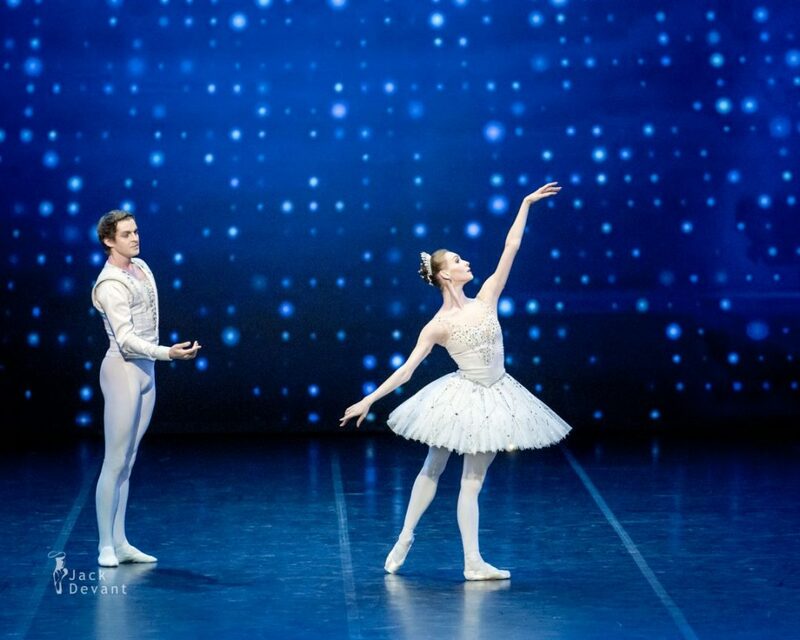 It can also be seen as three separate ballets, linked by their jewel-colored costumes. Balanchine commented: “The ballet had nothing to do with jewels. The dancers are just dressed like jewels.” Each of the three acts features the music of a different composer: Emeralds is set to the music of Gabriel Fauré, Rubies to the music of Igor Stravinsky and Diamonds to music by Pyotr Ilyich Tchaikovsky.